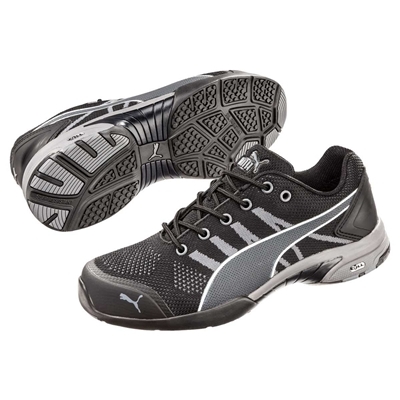 The Puma Safety Women's Celerity Knit Steel Toe Athletic Shoes - 642925 is an extremely comfortable shoe for all day wear. There is a mesh lining with antimicrobial insole keeping this shoe like new. It has a steel toe for safety and is heat-, oil- and slip-resistant. They are ASTM and SD rated.